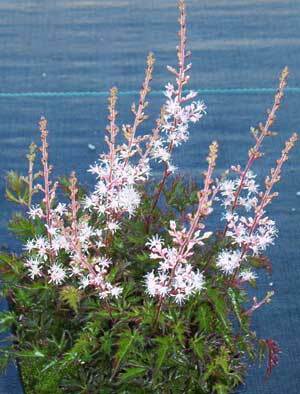 Looks like a dwarf A. simplicifolia and is one of the smallest astilbes. 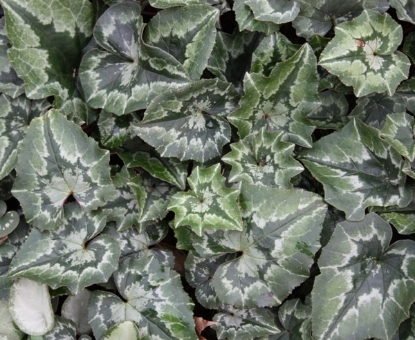 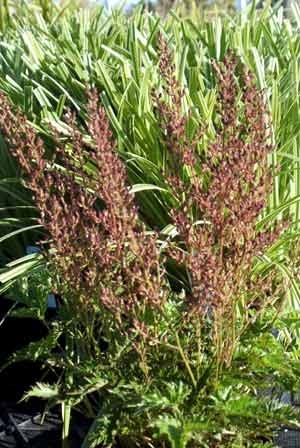 The toothed, dark green foliage reaches about 3". 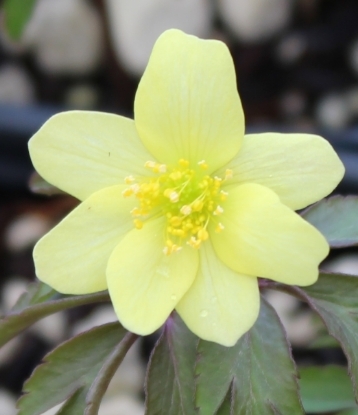 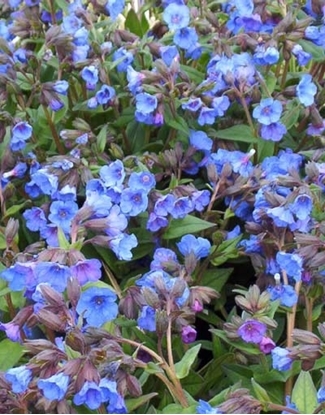 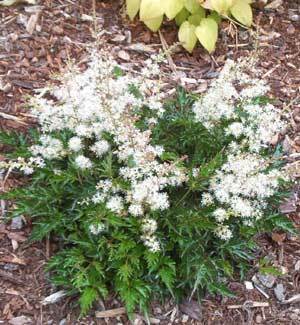 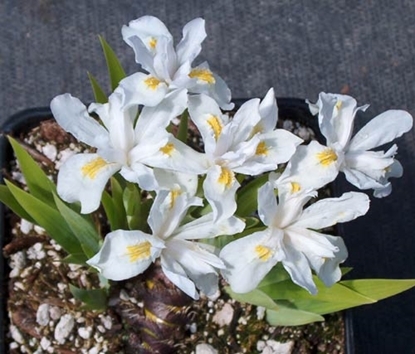 Prefers moist soil, especially in sun.